[0:55] <stiv> you should get an ADC! [1:48] <kerio> the one that uses the "display" connector? [2:03] <filadome> anyone run the raspberry pi in VirtualBox and QEmu? [2:13] <kerio> jetole: just edit /home/pi/.ssh/authorized_keys? [2:17] <jetole> so I don't know if raspbian needs a special location for id_rsa.pub that it copies over? [2:51] <MrBusiness> Has anyone ever experimented with integrating a TPM with a Raspberry Pi? I've seen some vague hints that people may have done some interesting things with this. [2:56] <MrBusiness> Okay, I'll relay any links that I find. [2:56] <MrBusiness> I can't see how it offers any kind of improvement over lightweight acrylic. [2:57] <MrBusiness> I mean, with acrylic you can take a drill and hole saw and cut out some frankenbox fan ports. [2:58] <MrBusiness> Wonder if somebody will make some ridiculous RGB modded Pi with a custom-blown tempered-glass case. T'would be absurd. [2:58] <MrBusiness> I'm also looking into using Pis as an interface to a larger desktop to act as a sort of TPM-alike. [2:59] <Kryczek> I didn't know of that one... looks pretty nice too! [3:00] <MrBusiness> Yeah, I really like the handle and the hidden toolkit. [3:00] <Kryczek> so there might be more than one "XL-ATX" or "E-ATX"
[3:01] <MrBusiness> and then there's the EVGA Classified SR-2 motherboard, which is a dual-CPU mobo that apparently has a form factor far larger than anything that came before. Probably requires a desk enclosure or a 1U rack. [3:03] <MrBusiness> I've been scouring for a good SuperMicro with a Xeon SoC and TPM 2.0 on an mITX platform, but thus far I've come up dry. [3:06] <MrBusiness> Was it made for TPM 2.0? [3:06] <MrBusiness> One article I wish I could dredge back up was someone discussing building a custom cryptoprocessor out of a PCIe FPGA, it had an absurd bitdepth, assuming it was true and actually worked. [3:07] <MrBusiness> and I like that quality. [3:07] <MrBusiness> from Yubico, the makers of Yubikeys. [3:08] <MrBusiness> who came out with two new tools I need to get while they're on sale. [3:10] <MrBusiness> Yeah, having the FPGA tied to the PCIe BUS probably weakens it to a degree. [3:14] <MrBusiness> The crypto activation dongle for the forthcoming ORWL mini s@\(C\)\(ubes\)@Q\2@<esc>:AOS<esc> machine looks interesting as well. [3:15] <MrBusiness> My original goal was to use a USB Rubber Ducky with a specific payload and firmware, as well as maybe some kind of small VeraCrypt installation to make an automatic, encrypted password manager, but two such devices have already hit the sales floor of CrowdSupply. [3:16] <Kryczek> to have it type decrypted passwords directly as if it were a keyboard? [3:19] <MrBusiness> I'm gonna try both, but I have severe misgivings with the notion of using something built in Russia given all the FUD in the news about Russia owning things like the US Government Employee Database. [3:19] <MrBusiness> does the Pi have some kind of GCHQ backdoor? [3:20] <MrBusiness> Like, the man pages and help dialogs seem to differ, or differed at the time, depending on whether or not I had an ethernet cable connected. [3:21] <MrBusiness> Yeah. But now that they have onboard BT and Wifi, who knows what they might be capable of. [3:22] <MrBusiness> like, the fuckers were watching me through my phone, and then due to bad password policy they owned roughly 5 computers. [3:23] <MrBusiness> I apparently called down the lightning on myself. [3:23] <Kryczek> so... illegal aliens? [3:23] <MrBusiness> no, they were typical white, 20-40-something californians. [3:24] <MrBusiness> When they first contacted me, they basically exploited an old Darwin kernel and an outdated Adobe Flash to scare the Hell out of me. [3:24] <MrBusiness> First they wanted to buy my intellectual properties, which I had been posting concept art of on my Tumblr. [3:24] <MrBusiness> But they tormented me in a variety of ways. [3:24] <Kryczek> are you trolling, or? [3:24] <MrBusiness> "My Unbelievable Experience"
[3:25] <MrBusiness> so I'll just offer you a copy of the text file when I'm done writing the tale. [3:25] <MrBusiness> I think I've figured out most of what happened and why, but they were careful to orchestrate the whole thing such that I ended up looking insane as a result. [3:26] <nolsen> How do I get my port back. [3:27] <MrBusiness> But you'll never know fear until you watch an htop listing of a /dev/3g:<random socket number> appear, and then, as a result, lock down your BIOS with a 1-50 character password while still in Ubuntu. [3:27] <MrBusiness> Never buying another Toshiba ultrabook with a cellular connection, that's for sure. [3:28] <MrBusiness> Do need to make a router with a 4GLTE antenna though, for phones to connect to a mitM-ed wifi access point that'll wireshark all incoming connections. [3:28] <nolsen> Kryczek: I don't even have it installed. [3:29] <MrBusiness> yeah, since I was thinking that I'd make my packet analysis machine a 7" touchscreen Pi, I might just use pcap and logrotate to store pcap files for later review in Wireshark, as I imagine that would be easier than trying to automate Wireshark. [3:35] <MrBusiness> Yeah. Well, if that's the case, I'll probably just grab myself one of these fancy, cheapish mini-STX systems. [3:35] <MrBusiness> or just a SuperMicro mITX server to replace my horrible, horrible EVGA Z77. [3:35] <nolsen> Kryczek: Still nope. [3:36] <nolsen> Because DNSStubListener is set, but ignored. [3:39] <nolsen> Kryczek: Is your Pi running debian stretch? [3:39] <MrBusiness> But yeah, my immediate Pi projects are to create a series of networked cameras made out of Pis that will deliver data wirelessly, be it still photos taken at predictable times, or videos triggered by a motion sensor. [3:39] <MrBusiness> It'll be off the internet to begin with. [3:41] <MrBusiness> at least until I can assure that the camera system can only be accessed by a single device using multi-factor authentication, and ideally not a phone. [3:41] <nolsen> I don't even have "systemd-resolvd" installed. [3:42] <MrBusiness> Rather build some kind of controller based on a Pi Zero W that works similarly to the GoPro 3 Remote. A little 3.5" LCD, some basic buttons, and exposed USB for the auth factor keys, whatever they may be. [3:43] <nolsen> Kryczek: Okay, I see it there. [3:44] <nolsen> So I just remove that line? [3:44] <nolsen> wow, I'm dumb. [3:45] <nolsen> I thought they're almost essentially the same. [3:50] <Kryczek> including since you disabled the service? [4:03] <nolsen> Rip, can't find any older version. [4:05] <nolsen> Maybe it didn't update. [4:44] <ZorroT> i've got a pi3/raspian plugged into an external usb monitor, defined in xorg.conf and working brilliantly, however, i'm unable to rotate the display. I've been attempting Option "Rotate" "right" in the Monitor section of the definition. any suggestions / ideas ? [5:38] <ZorroT> i've got a pi3/raspian plugged into an external usb monitor, defined in xorg.conf and working brilliantly, however, i'm unable to rotate the display. I've been attempting Option "Rotate" "right" in the Monitor section of the definition. any suggestions / ideas ? [5:53] <[Saint]> ZorroT: doesn't Rotate take an integer? [5:54] <[Saint]> perhaps I'm misremembering. [5:56] <[Saint]> yay, I guess? Ha. [5:57] <ZorroT> but, for what it's worth, it's the first change that's actually had any effect, so... maybe good. [5:59] <[Saint]> if x/y res is hardcoded, it may be out of bounds w/ rotation set? [6:00] <ZorroT> it's possible. the rotation option is a value, not a matrix. [6:00] <[Saint]> xrandr can go screw itself. [6:00] <[Saint]> multi-hotseat is unreasonably difficult with it. [6:00] <ZorroT> "yes, this would be better in portrait mode. how hard can it be?" [6:01] <ZorroT> in my case, i have an external usb monitor that i want to rotate the output on 90 degrees. [7:36] <eklavyaa> how can I get started with raspberrypi on windows? [7:36] <GeekOfflineNL> euh... what do you mean? [7:38] <eklavyaa> which OS to load? [7:44] <aib> that reminds me; I came across an official-looking SD card (with the Pi logo on it) yesterday. It seemed to have NOOBS on it. But it had >2 GB disk usage. I thought NOOBS was just a downloader? [7:44] <eklavyaa> can I use raspberrypi as a lean system to run cyber cafe? [12:49] <Encrypt> According to you, is it better to add a SWAP partition or to use a text file as SWAP space? [12:57] <mfa298> on spinning rust swap partition was potentially wise as you could tune the drive for speed (most used partitions at the faster end) although I'm not sure how many people bothered with that. [12:58] <mfa298> but that doesn't really apply for the flash based storage these days. [13:14] <ShorTie> add a 5v zener diode in maybe ?? [13:16] <aliasunknown> the "newer" pi don't have over current protection, right? [13:27] <BurtyB> I assume you have a flyback diode on the relay? [13:28] <aliasunknown> could it be a problem? [13:34] <ShorTie> self powered hub ?? [13:37] <ShorTie> what good does that do ?? [13:38] <aliasunknown> im starting to get the feeling that was a bad idea? [13:39] <aliasunknown> But then again, if the problem is the hub not being powered then why did it work fine when I was using the benchtop PSU? [13:40] <aliasunknown> Is it safe to connect the pi on 2 ports? [13:40] <aliasunknown> one for power and the other for comms? [13:43] <ShorTie> sure the 5v output is being held steady ?? [13:44] <aliasunknown> but how would "low voltage" cause a burn up? [13:44] <ShorTie> why 12v supply ?? [13:44] <aliasunknown> could you be suggesting it might be spiking? [13:47] <ShorTie> do you need the 12v ?? [13:48] <ShorTie> what kind of power does the modem use ?? [13:48] <aliasunknown> depending on signal strength, etc..
[13:49] <aliasunknown> Do you think the USB hub and the Converter are related in this problem? [13:51] <ShorTie> over voltage can only come from the convertor, right ?? [13:52] <aliasunknown> the chip ends up with a "bubble" right next to the E in "elipda"
[14:24] <Habbie> in what way are they failing? [14:24] <Habbie> can you pastebin that? [14:24] <SirLagz> Habbie: pastebin the sudo command? [14:31] <SirLagz> Habbie: how does logging to /tmp help users elevate themselves to root? [14:31] <SirLagz> Habbie: also, just a temporary measure for now. [14:34] <SirLagz> Habbie: that is true. [14:34] <Habbie> why not let it syslog though? [14:39] <Habbie> there are no arguments from the webapp? [14:40] <Habbie> it's just enable/disable logging you are doing? [14:40] <SirLagz> Habbie: nope. yep. [14:40] <Habbie> why not syslog? [14:41] <Habbie> why not have the webapp read syslog? [14:42] <Habbie> are you sure? [14:42] <Habbie> isn't it enabled already? [14:44] <Encrypt> Has anyone here tried like a "simple" email server on the Pi? [14:45] <SirLagz> Habbie: I don't see anything except for the start and stop messages in mine...are there any messages that appear when hostapd is 'idling' ? [14:46] <SirLagz> Habbie: I don't get any messages on startup except for Nov 2 21:44:02 raspberrypi hostapd: Starting advanced IEEE 802.11 management: hostapd. [14:47] <Habbie> any reason to not just do that all the time? [14:48] <Habbie> so that kind of stuff does it log with -f ? [15:28] <filadome> can a usb micro port handle 3 amps? [15:29] <shiftplusone> Pretty sure the polyfuse kicks in well before that. [15:33] <gordonDrogon> the current limiter on the b+ onwards will stop you at 1.2 amps too. [15:34] <shiftplusone> aye. So to get to 3 amps, you'd have to try to draw it from the 5V gpio pin, but that wouldn't work anyway. [15:34] <leftyfb> filadome: what exactly are you trying to accomplish? [15:38] <gordonDrogon> you can plug them in, but 1.2A is all you'll get. [15:38] <filadome> how much current does the Pi by itself? [15:38] <filadome> can it run from a regular USB port? [15:39] <gordonDrogon> it might run - it will depend on the port and the device. [15:39] <gordonDrogon> it needs a bit more to boot than to run though, so startup is key. [16:21] <gordonDrogon> I did a stretch to jessie recently - it was mostly OK, just slow. [16:42] <modpryme> i bought a 17" 1280x1024 refurb monitor at microcenter for $25 just for rpi's. [16:43] <Encrypt> "All 1000 scanned ports on encrypt-labs.tk (192.168.1.20) are closed"
[16:47] <Encrypt> SystemD, once again! [16:54] <shiftplusone> Hm? Usually when I see people blame systemd for something, they're wrong. [16:54] <shiftplusone> Curious how systemd would be to blame for ssh not working. [16:55] <Encrypt> Nov 2 15:36:53 raspberrypi systemd: dev-serial1.device: Job dev-serial1.device/start timed out. [16:55] <Encrypt> Nov 2 15:36:53 raspberrypi systemd: Timed out waiting for device dev-serial1.device. [16:55] <Encrypt> Nov 2 15:36:53 raspberrypi systemd: dev-serial1.device: Job dev-serial1.device/start failed with result 'timeout'. [16:57] <Encrypt> Does VGA still work? [16:57] <Encrypt> I mean the composite video output? [16:58] <Encrypt> OR is it mandatory to use HDMI to see something on the screen? [16:59] * shiftplusone remembers using dscaler to descramble cable channels. [16:59] <GrandPa-G> I have used a hdmi=>vga converter. That works great except I have to boot 2 times to finally get something on screen. [16:59] <Habbie> GrandPa-G, even if you boot with it connected and the screen turned on? [16:59] <GrandPa-G> Habbie:I don't think so. [17:02] <mfa298> also don't forget to leave it long enough to boot the first time, it does a auto partition resize and reboot so takes a few minutes to come up the first time. [17:02] <Habbie> mfa298, it reboots after the resize? why? [17:06] <GrandPa-G> I have a half dozen pc boxes with various os, several pi, thousands of man-hours of experience in most languages, most of my waking hours free and I can't think of any fun (maybe $) projects. Real bummer. [17:14] <gordonDrogon> GrandPa-G, PiDP8 ? [17:16] <GrandPa-G> gordonDrogon:What would be my motivation? [17:21] <shauno> and you get to yell at kids about your lawn and stuff. [17:37] <GrandPa-G> gordonDrogon, if I am going back in history, have you seen any good IDE programs for assembler for pi? [17:42] <gordonDrogon> I've no interest in ARM assembler, but if I were to write some I'd use vim. [17:42] <gordonDrogon> with a Makefile calling gcc. [17:44] <GrandPa-G> gordonDrogon, I am not sure if I want to but it makes me think I am young as that was were I started with punch cards. [17:46] <ApatheticsAnonym> Would it be easier to host a wifi AP on the pi and connect via ssh? [17:48] <redrabbit> anyone has used the rpi3 or 0W as a PAN gateway ? [17:50] <gordonDrogon> GrandPa-G, I'm having fun with PDP-8 assembler. [17:51] <gordonDrogon> I regularly use my phone in hotspot mode to connect Pi 0W's to. [17:51] <gordonDrogon> Hm. not sure about automatic, but my phone lets me enable hotspot fairly easilly - swipe-down. [17:52] <redrabbit> gordonDrogon: tried the other way around ? [17:52] <Habbie> redrabbit, what other way around? [17:52] <gordonDrogon> redrabbit, what - the Pi as the hotspot? [17:52] <gordonDrogon> redrabbit, a remote Pi would have no internet connection in the first place. [17:53] <gordonDrogon> the phone is the common denominator as it were, so easy to just use hotspot on that. [17:54] <gordonDrogon> wish I could better control its IP address and dhcp though. [17:54] <Habbie> gordonDrogon, what do you miss in the ip/dhcp department? [17:55] <gordonDrogon> having to run fping on my laptop to find the IP of a Pi 0. [17:56] <gordonDrogon> does the android hotspot support it? [17:56] <GrandPa-G> Habbie, what if you have multiple pi? [17:57] <gordonDrogon> Habbie, oh that's what it's for - I always delete that. [17:57] <redrabbit> ah its wifi hotspot and not BT ? [17:57] <gordonDrogon> one day I'll make life easier for myself. [17:57] <gordonDrogon> I've never used bt. [18:05] <gordonDrogon> I've just been on a 1250 mile road trip with my phone as gps in the car - the cheap charger I have seemed to keep up with gps without any issues, but I only rarely used it for hotspot to my laptop though. [18:05] <gordonDrogon> I'm suspecting that if this was something I did want to do, I'd put a 4G modem into a Pi. [18:05] <GrandPa-G> Habbie, if you have your pi on lan and wifi connected and do ssh pi@raspberrypi.local from pc on lan, which connection do you get? [18:07] <gordonDrogon> Hm. I've only used 0.5GB mobile data since Oct 12th. I have a 2GB plan. [18:07] <gordonDrogon> I pre-cached all the google map areas when I had wi-fi though. [18:07] <GrandPa-G> Habbie, just what I was going to suggest. [18:08] <GrandPa-G> gordonDrogon, you mean you look at your phone while driving?????? shame on you! or do you just listen to the voice? [18:09] <gordonDrogon> GrandPa-G, the phone is fixed into a carrier when I'm driving. Yes, I look at it - no different to looking at a fixed GPS device. [18:27] <GrandPa-G> does Stretch install with python version 2.x or 3 as the default? [18:51] <GrandPa-G> from participant's experience is the following still the best way to upgrade from jessie to stretch? sudo apt-get update then sudo apt-get dist-upgrade? [19:01] <gordonDrogon> I did wheezy to strwtch recently. [19:01] <gordonDrogon> no - wheezy to jessie. [19:02] <gordonDrogon> there were some additionals on /etc/apt/sources.list.d for the Pi though. [19:03] <gordonDrogon> My suspicions is that it might be quicker to re-install. [19:05] <GrandPa-G> exactly why I am asking for experiences. I don't want to go where no man has gone before. [19:07] <gordonDrogon> I have no Pi's running stretch though - all are on wheezy or jessie right now. [19:08] <shiftplusone> use apt if you know know debian very well. Start from a clean image otherwise. [19:09] <gordonDrogon> it worked for me - and for a short time I had a Pi running systemd. [20:08] <filadome> does it work with hdmi to DVI adapter? [20:08] <filadome> the red light is on, is there an on button? [20:16] <ShorTie> any sdcard in it ?? [20:17] <leftyfb> hey ali1234, question about your pistem. 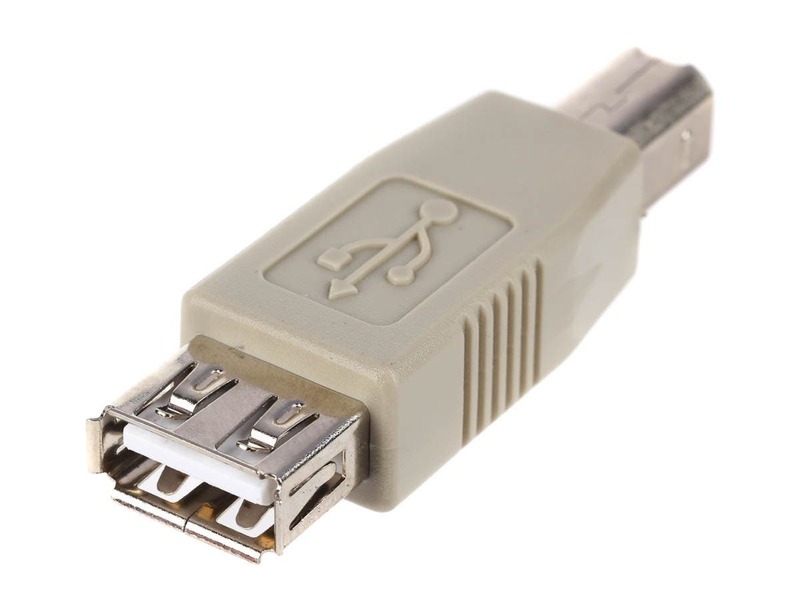 I'm pretty sure it's the case, but we should still be able to use the data usb port for a device when powered by your stem via usb-a correct? As long as we don't put it into gadget mode? [20:20] <leftyfb> basically I have a 9 port usb hub (powered) that will power up 7 of the ASIC's, a fan and potentially the pi0w with the stem. The trick is, can I then plug in the usb cable from the hub into the data port on the pi which is technically plugged into one of the usb ports on the hub? [20:20] <leftyfb> looping the data port huh? [20:21] <filadome> will the screen turn on from low-power mode if i plug in the Pi without a boot device? [20:22] <leftyfb> the pi would get power from that? [20:24] <Latrina> guys I do have a question. Does the rpi3 needs some kind of proprietary usb uart connection in order to access its uart pins? [20:25] <ApatheticsAnonym> any thoughts on getting a "Gadget Serial v2.4: family specific matching fails" when attempting to connect an rpi0w to a mac w/ OTG (g_serial) configured? [20:26] <Latrina> ali1234: serial getty? [20:27] <Latrina> how do I do that? [20:27] <ali1234> you have to edit cmdline.txt and remove the part about "tty=/dev/ttyAMA0"
[20:30] <Latrina> so on my lapop once done that I should get /dev/ttyAMA0 available? [21:01] <shiftplusone> are you using the same power supply in both cases? [21:16] <ShorTie> how long is your power cable, you using same cable ?? [21:17] <shiftplusone> aye, a good usb cable is rare and worth its weight in copper. [21:20] <shiftplusone> rare to buy if you pick whatever is popular on ebay or amazon. [21:22] <Encrypt> Do you know guys whether a kind of "voltage stabilizer" exists for the Pi? [21:22] <shiftplusone> Encrypt: no, there's a fuse and a tvsd for the 5V line. And regulators for the 3v3 and lower lines. [21:23] <BCMM> what is a "voltage stabilizer"? an external device you plug the pi in to help it work off dirty power? [21:23] <shiftplusone> aye, there are caps of course. [21:23] <GrandPa-G> johndescs, do you have any neighbors that have wifi? I find my pi sometimes connects via a restricted wifi and all kinds of problems ensue. [21:23] <shiftplusone> oh... you mean an external device... my bad. [21:24] <shiftplusone> if your power supply is browning out or your cable has a high resistance, a cap can only help you so much. [21:27] <shiftplusone> I just stick to the official power supplies from now on, since phone chargers are a gamble. [21:28] <shiftplusone> The "Power curve" ones. [21:49] <darsie> A TracoPower TSR 1-2450 1 A 5V DC/DC converter next to the 5V pins very nicely supplies my pi 3. [21:50] <darsie> No more brownouts. [21:51] <darsie> we also need 12 V, so that justifies a second power supply. [21:52] <darsie> I think lots of power problems are caused by the cable and uUSB connector. [21:56] <darsie> I have a 5 V 35 A PS ;). [22:51] <mete> darsie: what PSU is that? [22:51] <darsie> mete: DC/DC 6.5-32 V to 5 V.
[22:53] <darsie> metawave: Ahh, you mean the 5 V 35 A PS? That's an ATX :). [22:54] <darsie> ShorTie: What's the point of specing it to 100%, then? [22:55] <darsie> Yeah, I originally suggested others, but the guy didn't order them and went to the conrad shop. [22:55] <mete> anyone here knows a step up regulator from 3V to 5V which can deliver ~20A? [22:56] <darsie> ShorTie: At 100% the voltage should be within spec. [22:56] <darsie> mete: A boost converter should do. [23:02] <mete> the battery is used mainly by a microcontroller which runs from it directly, without any step up/step down regulator. but I would also like to get a 5V supply from it..
[23:35] <r3> if my raspberrypi isn't using grub, what's it using instead? [23:37] <gordonDrogon> r3, ROM in GPU loads a file off the SD card, that loads another, then it enabled the ARM and loads Linux and boots the ARM. [23:38] <gordonDrogon> the Pi is fairly simplistic. Very old fashioned.